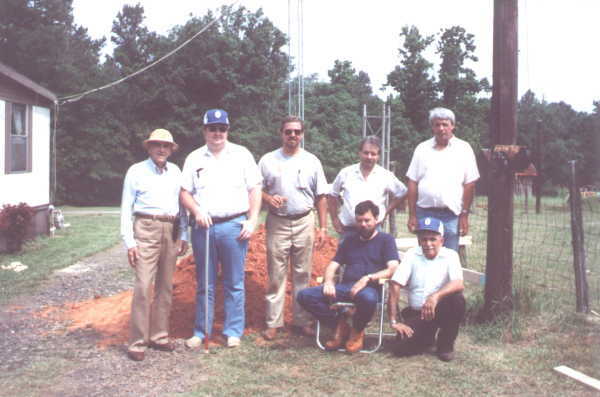 These pictures show the removal of the old K4TQU repeater tower during the summer of 19xx. Oops ! We haven't found the other pictures yet. Instead here is an alternate program, the Swedish Bikini Team playing volleyball with W4EEE. Noo-oo ... I'm told we don't have that either. Here's something even better. 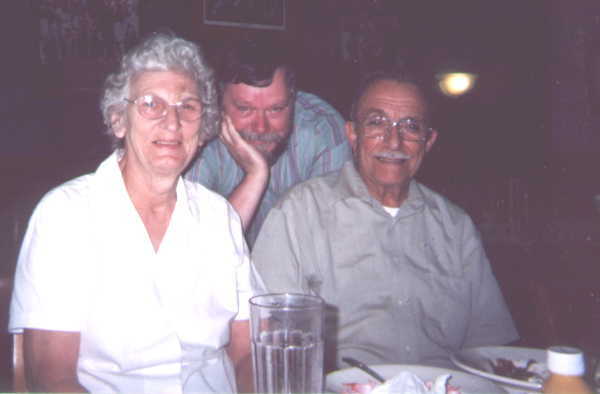 A couple of Classic Ol'Geezers at Shoneys, July 2003. The Classic Ol'Geezers. George Norton, W4EEE; Ricky Bray, KN4LA; Craig Cleveland, WA4HSN; Jon Cato, KC4MYC; Robert Stovall, W4KBY; Max Heller, KC4GZX; Ralph Costa, K4TQU. We're standing in front of the tower base section. All that red clay is about to be replaced by concrete. More of the Classic Ol'Geezers. 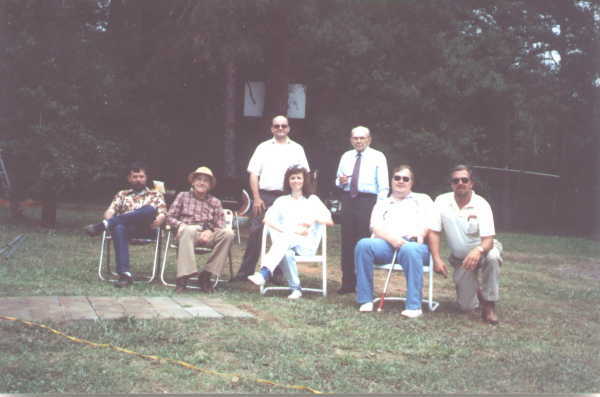 Max, KC4GZX; George, W4EEE; Linda Bray, KN4KW; Ricky, KN4LA; Craig, WA4HSN; Mickey Campbell, AA4AU, Howard Guill, K4EEJ. Notice that Howard has his pipe in hand.